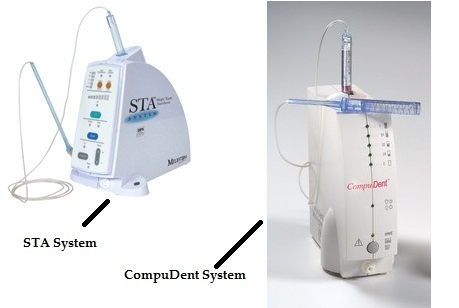 The WAND System is a computer-controlled local anesthetic delivery system, which has proven to be more comfortable for patients in the Dental office. The injection technique is ought to be comfortable as the flow rate of the local anesthetic is controlled by a computer and thus is slow and steady. There are quite a few different names like the WAND Single Tooth Anesthesia (STA) and CompuDent system, but the most common name given is the Dental Wand, as that is what people call it as a better replacement to the traditional injections of Local anesthesia. It is always believed that more discomfort is seen in people who are administered the local anesthesia through the normal syringes, and there is pain mainly when the anesthetic solution flows into the nerves. The Wand system has internally got a microprocessor in the machine which would control the rate of flow of the anesthetic solution, and this processor would compensate for the various tissue densities and would deliver the solution in a constant rate with minimal pressure. The best thing about the computerized WAND system of local anesthesia delivery is that it would be helpful in anesthetizing a single tooth, and there is no nerve block needed when a treatment is to be done on a single tooth. 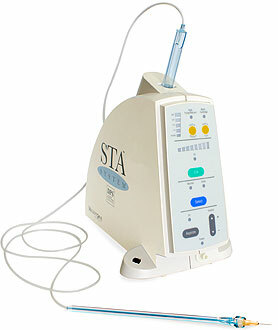 The WAND system moves ahead from the traditional local anesthetic injection systems, where there is a processing unit that contains the cartridge on the top of it, and the connecting tube to the syringe. The handpiece looks like a pen, and is to be held just like a pen and the only thing that the Dentist has to take care of, is the handling of the needle in the mouth and the computer does the rest of the process. There is a footpedal which can be used to send the commands for the anesthetic delivery. The STA mode has got a different needle and a visual gauge which would emit little beep to let the dentist know whether the placement of the needle is correct. Two things that would hit the dentists in a negative way include the cost of the WAND apparatus, and the time taken to administer the local anesthesia which is higher than that of the normal delivery using a syringe manually. Indications of Local Anesthesia – In which Cases is Local Anesthesia Administered?